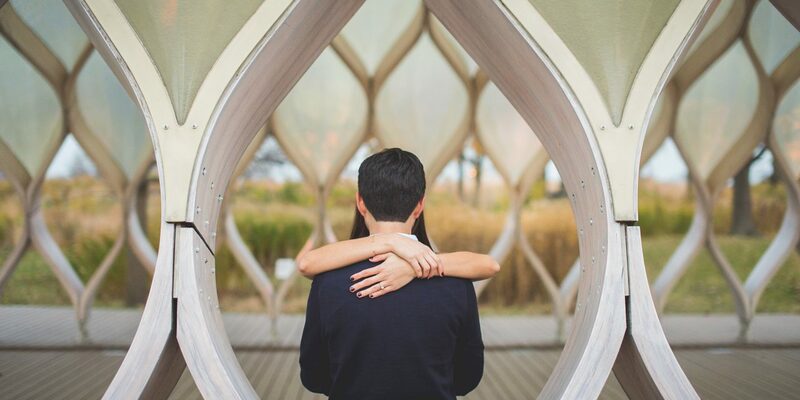 As Valentine’s Day approaches, planning a weekend away with your sweetheart is a great way to celebrate the holiday of love. Book a beautiful hotel in a great area to maximize your time exploring and experiencing the city. Here are some of our favourite destinations around the world to plan your romantic V-Day getaway. Known for its beautiful natural landscape, Vancouver, Canada offers something for every couple. With options such as a walk along the Seawall, exploring iconic Gastown, a visit to the Vancouver Art Gallery, and a range of trendy restaurants and cafés, (not to mention the amazing ski resorts of Whistler, Grouse and Cypress all nearby), spending a weekend in Vancouver adds up to nothing but fun. Get the inside scoop on BC wine with a fun Context walking tour. Stay at the Fairmont Pacific Rim close to the city’s harbour, and have easy access to Stanley Park, Coal Harbour, downtown shopping, and a beautiful view of the surrounding mountains. Oh, New York, New York… The list of things to do during a weekend in the Big Apple is virtually endless. Whether taking a romantic stroll across the Bow Bridge in Central Park, shopping in SoHo, or scoring tickets to a hot Broadway show, NYC has something for everyone. Take a stroll down the High Line, or head over to Williamsburg for an afternoon, grabbing coffee at Devocion. Check out the graffiti art in DUMBO and walk back across the Brooklyn Bridge at dusk for one of most arresting (and romantic!) views of the city. Eataly and Momofuku are good casual lunch options, and Balthazar for dinner is an absolute treat. End your night with champagne at the iconic Plaza Hotel, where an elevator ride transports you to your glorious room overlooking Central Park. The Windy City is a great place to escape over Valentine’s Day weekend. Located on Lake Michigan, Chicago is chock-full of great restaurants (try the latest hotspot, Monteverde), world-class art galleries and interesting little boutiques. 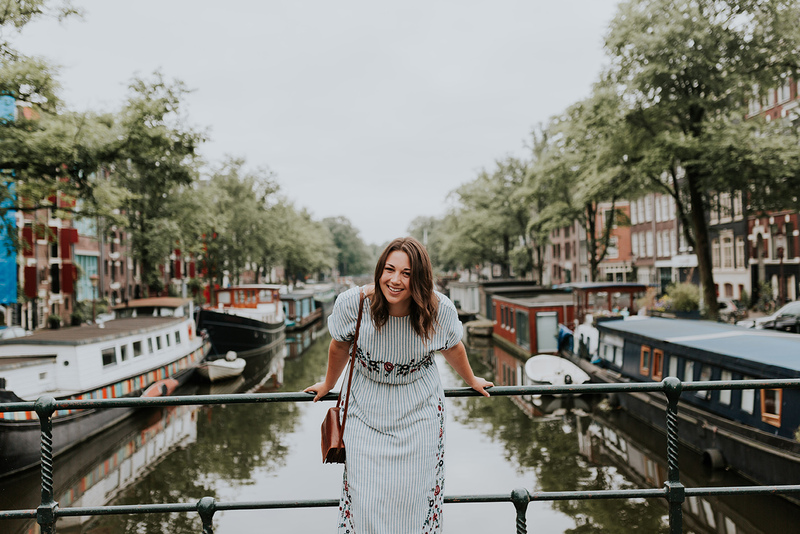 Enjoy a romantic walk along the Chicago River or take in an improv show at The Second City (alumni include Steve Carrell and our personal fave, Tina Fey). Cap off your night by grabbing a cozy seat at Maude’s Liquor Bar to share a crème brûlée. The cobblestone streets, 17th-century architecture, and French-speaking culture of Québec City will send every romantic’s heart a-flutter. February in Québec means snow on the ground, so keep your sweetheart warm with a hand-in-hand outdoor skate at Place d’Youville, or snuggle up under cozy blankets on a horse-drawn carriage ride throughout Upper Town. The famous Carnaval de Québec ends on Valentine’s Day, so be sure to buy passes to this city’s popular party. You won’t go hungry in this foodie’s paradise: book a table for two at Lapin Sauté for a classic experience, or try out more modern fare at Chez Boulay. For the ultimate romantic weekend, stay at the historic Château Frontenac, where you can enjoy a nightcap at the intimate piano bar downstairs, then retire to your room for sweeping views of this beautiful Canadian city. Home of the Golden Gate Bridge, with rows of colourful Victorian Painted Ladies, quaint cable cars running the hilly streets, and ocean waves glittering in the backdrop, the City by the Bay is a must-visit for a romantic Valentine’s Day getaway. Book in to luxury at the Fairmont San Francisco atop Nob Hill, and enjoy a spectacular view of the city below. Shop, dine and tour your heart out – there’s so many options. We recommend grabbing some picnic goodies from Tartine Bakery, renting bikes at Golden Gate Bike Rental and cruising through the Golden Gate Park to Ocean Beach. Wrap up your day dancing barefoot in the ocean at sunset, like Chad and Carla above. What could be more romantic? 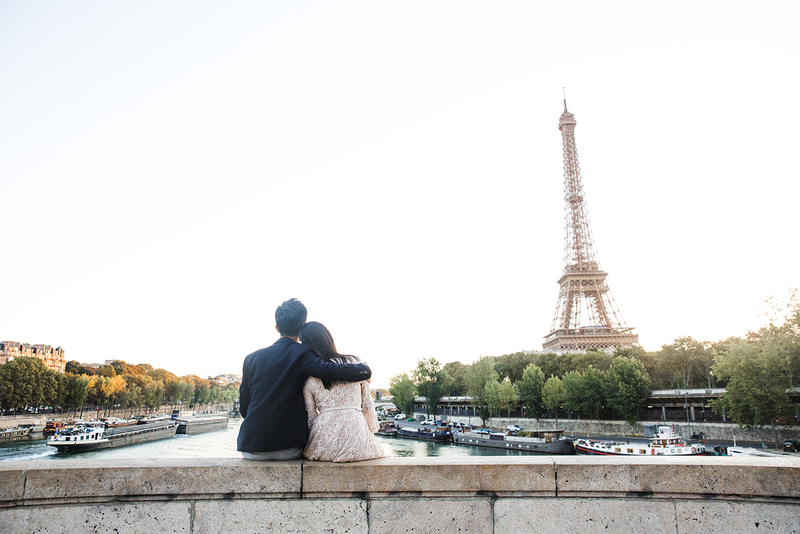 For the ultimate romantic getaway, no other city tops Paris, The City of Light. 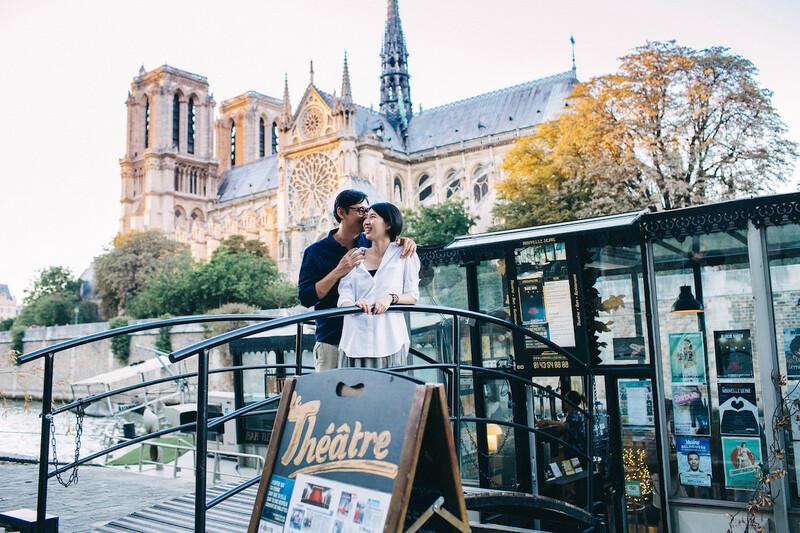 Stroll the banks of the Seine and steal a kiss under the Eiffel Tower. 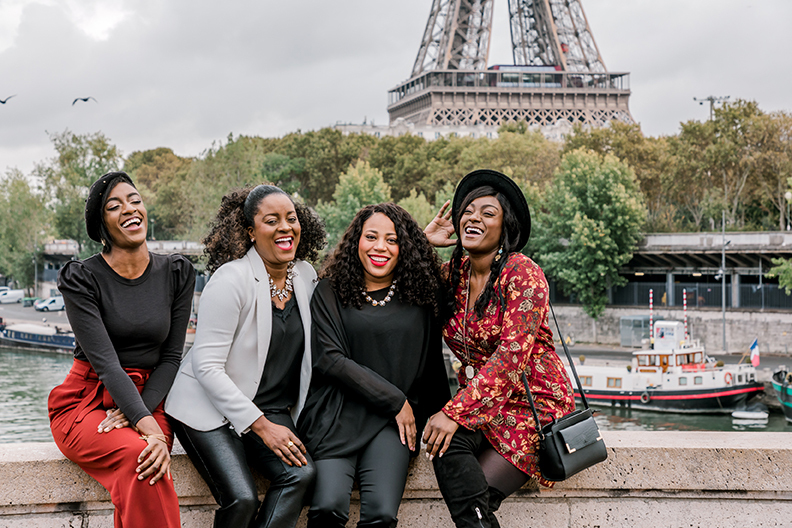 Have a picnic delivered to you on the Champ de Mars, browse poetry books at the classic Shakespeare and Company, or hire a driver for a city tour in a vintage Citröen. 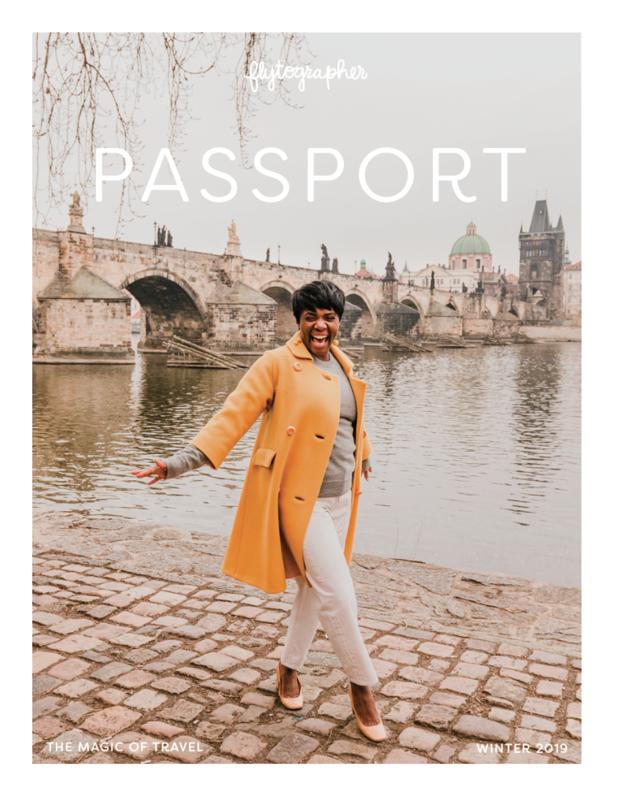 Love deep travel and food? Check out the mouthwatering “Baguette to Bistro” tour in Saint-Germain-des-Prés, and afterwards wander to the nearby Île Saint-Louis for some postcard-perfect shots. After all that walking, indulge with a delicious dinner at hotspot Septime, then top it off with a drink at Le Verre Volé, both located in the trendy Bastille district. As the inimitable Ms. Hepburn said, “Paris is always a good idea.” We could not agree more. 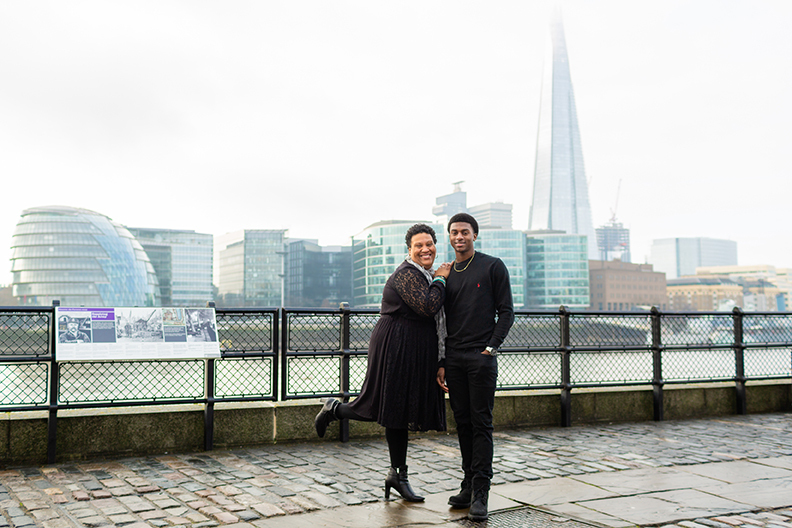 Surprise your Valentine with a romantic weekend escape and a photo shoot to capture the memories!